What is the question we are thinking about? Marijuana, reefer, pot, weed, dagga, maui-wowie, mbanje, Mr Giggles, herb, smoke, grass, Mary Jane, Malawi Gold, the bubonic chronic, flower, and even broccoli (alas!) – whichever tickles your fancy – are all lingo for cannabis, a drug that has for decades received widespread attention worldwide for either its medical, spiritual or recreational use. Recently I came across an interesting article by Simon Cooper dubbed “What the Dutch can teach the world about cannabis”, and I was quite surprised about the changes in the global discourse and attitudes towards this substance. Growing up, any association with marijuana would make one an outcast, the radical of all radicals, a menace. Especially its recreational use has been a major source of controversy, with Amsterdam’s coffee shops for some the cutting edge of cannabis policy. Rastafarians have used cannabis for religious purposes for the better part of 100 years, leading its use to be very much synonymous with the home of Rastafarians, Jamaica, where its commonly referred to as ganja. There medical marijuana tourism is alive and well, and marijuana use is decriminalised. But what are the health impacts of cannabis use? Why is this an important topic for citizens? Of all illicit psychoactive substances worldwide cannabis is used the most, with over 200 million people globally reported to having used it at least once (Statista 2018; Waddell and Wilson 2017). Using cannabis for recreational purposes is prohibited in most countries, but recently some countries have decriminalised it, such that simple possession is a non-criminal offence. As of 2017 21 countries or territories had legalised cannabis fully or partially for medical and/or recreational adult use (MacIver 2017). Uruguay was the first county in the modern era to completely legalise cannabis in 2013. After years of consideration and deliberations Canada broke the ground by becoming the first large economy to legalise recreational weed in 2018, after medical use of cannabis had been legal since 2001. And in Africa, South Africa followed in the footsteps of Lesotho (in 2017) and Zimbabwe (in April 2018) in legalising cannabis use, when its Constitutional Court in September 2018 ordered parliament to draft new laws to legalise the personal use of cannabis for recreational purposes, making it clear that cannabis may not be consumed in public, or distributed or sold, or used by minors. Against the background of the rapid changing landscape regarding the legalisation of cannabis for medical and recreational purposes, patients and citizens in general are more likely to enquire about the benefits and risks of its use on their health. What credible and appropriate evidence did we find, and what did it say? Cannabis use carries a number of potential benefits for users (such as spasticity and pain control), as well as risks (including addiction and perception impairments). Both the benefits and risks are documented on numerous platforms and different forms, and it is imperative to decipher the most credible and appropriate research evidence. As usual I turn to systematic reviews and other types of research evidence syntheses for this. An examination of the effects of cannabis use by the US National Academies of Sciences, Engineering and Medicine (2017) and Memedovich and colleagues (2018) seem best for this, in that they are the most recent systematic reviews. Both reviews have similar findings. The purposes of cannabis use can broadly be categorised as therapeutic (for treatment of health conditions) or recreational (and then statistically related to certain health conditions). The first report considers both, whilst the latter review focused on only non-medical use of cannabis. Especially the 2017 report by the US National Academies of Sciences, Engineering and Medicine indicates the nature of the evidence, ranging from ‘conclusive’ and ‘substantial’ where there is strong evidence to make firm conclusions, to ‘limited’ when there is weak evidence, and ‘no’ and ‘insufficient’ where there are mixed findings, or only a single study (no conclusions can be made due to substantial uncertainty). Evidence related to therapeutic use: The US National Academies of Sciences, Engineering and Medicine report (2017) indicates the existence of conclusive and substantial evidence that cannabis or cannabinoids are effective in treating chronic pain in adults, chemotherapy-induced nausea and vomiting, and muscle spasms related to multiple sclerosis. Furthermore, there is moderate evidence that cannabis can be used effective for improving sleep outcomes for those with sleep disturbances associated with chronic pain, multiple sclerosis and sleep apnea syndrome. This synthesis report though suggests limited evidence that the use of cannabis is effective for decreasing weight loss and increasing appetite associated with HIV/AIDS, and improving symptoms of Tourette syndrome, post-traumatic stress disorder, and anxiety symptoms in people with social anxiety disorders. And they found insufficient evidence to support or refute that cannabis is an effective treatment for symptoms of irritable bowel syndrome, epilepsy, motor system symptoms associated with Parkinson’s disease, spasticity in people with paralysis due to spinal cord injury, certain neuropsychiatric symptoms associated with Huntington’s disease, and mental health outcomes for people with schizophrenia. On immunity there is limited evidence of no association between cannabis use and liver fibrosis or hepatic disease in people with viral Hepatitis C, and no or insufficient evidence to either support or refute that cannabis use adversely effect the immune status of people living with HIV. Evidence related to recreational use: Regarding evidence on the recreational smoking of cannabis, the US National Academies of Sciences, Engineering and Medicine (2017) in their review found substantial evidence of a statistical association between cannabis smoking and worse respiratory symptoms and chronic bronchitis, with limited evidence though for increased risk of developing chronic obstructive pulmonary disease, and no or insufficient evidence for asthma development or exacerbation. Regarding cancer, there is moderate evidence that cannabis smoking does not lead to incidences of lung, head and neck cancers, but there is limited evidence that male chronic users have more risk for non-seminoma type of testicular tumours. There is insufficient evidence about the link between cannabis use and heart attack. When smoking cannabis during pregnancy, there is substantial evidence of lower birth weight, with limited evidence of increased pregnancy complications for both the mother and infant. The impact of cannabis use on mental health is varied. There is substantial evidence of the development of schizophrenia and other psychoses amongst frequent users, with moderate evidence of development of depressive disorder, increased incidences of social anxiety disorder, increased symptoms of mania in people diagnosed with bipolar disorders, but better cognitive performance for people with psychotic disorders. Furthermore, there is limited evidence of development of bipolar disorders among regular users, or any type of anxiety disorder (except social anxiety disorder). The psychosocial impact of cannabis use has no substantial evidence, only moderate evidence on impairment in cognitive domains of memory and attention for acute users, and limited evidence on impaired education outcomes and academic achievement, and impaired social functioning. Additional, Memedovich and colleagues (2018) found no association between cannabis use and reaction time, language skills, and visual spatial ability. There is though substantial evidence of increased risk of car crashes due to cannabis use, with moderate evidence of increased risk of overdose injuries, and no or insufficient evidence of occupational accidents. Moreover, there is moderate evidence that cannabis use increase the development of substance dependence and/or abuse (including tobacco, alcohol, and other illicit drugs). Lastly, the first review report found substantial evidence that starting to smoke cannabis at an early age is a risk factor to development problematic cannabis use, as is the frequency of using cannabis. My attention was caught by how much uncertainty there still are and how much more research is required. Also, of special note is the recent increase in numerous cannabis strains created by growers, with an upward trend in more strains with higher THC content; THC is the primary psychoactive compound in cannabis. Whilst conventionally cannabis was broadly divided into indica (providing more relaxation) and sativa (providing more creative energy) strains, for these newly created strains, we simply don’t know the differential health effects. How do the findings translate to the South African and/or African contexts? 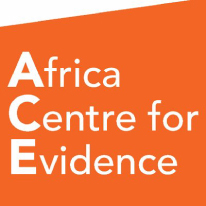 The two systematic reviews I drew on for the findings above, pulled together studies from throughout the world, and its findings are relevant to the South African and African contexts. Parry and Myers (2014) highlight other health impacts that might be important for the South African context as well, such as impact of sexual HIV-risk behaviours, and community-level impacts (rather than mainly individual health impacts). And given that we are the most unequal society in the world, findings on race, gender and class differential impacts would also be helpful, but our quick search did not reveal that. What are we as citizens to do next? Given the continued controversy, misconceptions and stigma associated with cannabis and its use, as a citizen we ought to be open to the idea of cannabis for medical conditions, at least. It is important to enquire more about the benefits and risk of cannabis use and be involved in finding ways to minimise the risk of harms. How and where did we search, together with a confidence statement about what we found? As previously mentioned, the benefits and risks of cannabis use are widely reported on in the media and in a variety of articles. My final point of call when looking for reliable and appropriate evidence is to look for systematic reviews and other evidence syntheses reports due to their methodological rigour and transparency. 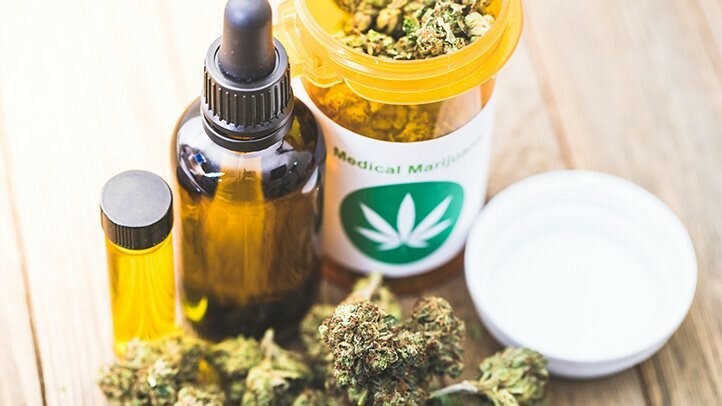 Several reviews and rapid synthesis on cannabis use do exist and for this blog, I relied on the most current review on the medical benefits of its use as per above. A series of reviews on “The health effects of cannabis and cannabinoids: The current state of evidence and recommendations for research”. This rapid synthesis on cannabis legislation: Rapid synthesis: Examining the impact of decriminalizing or legalizing cannabis for recreational use. This rapid synthesis on cannabis use and the youth: Rapid synthesis: Identifying the impacts of cannabis legalization on youth, and the responses that can be taken by public institutions. This review that compares cannabinoids and other options in the management of pain: Are cannabinoids an effective and safe treatment option in the management of pain? A qualitative systematic review. This review on the respiratory effects of marijuana use: A systematic review of the respiratory effects of inhalational marijuana. This review on marijuana use and lung cancer: The association between marijuana smoking and lung cancer. This systematic review on cannabis and non-cancer pain: Cannabinoids for the treatment of chronic non-cancer pain: An updated systematic review of randomized controlled trials. This review on marijuana use and cardiovascular pain: Associations between marijuana use and cardiovascular risk factors and outcomes: A systematic review. Memedovich, K. A., Dowsett, L. E., Spackman, E., Noseworthy, T., & Clement, F. (2018). The adverse health effects and harms related to marijuana use: An overview review. CMAJ Open 6(3): E339. Parry, C. D., & Myers, B. J. (2014). Legalising medical use of cannabis in South Africa: Is the empirical evidence sufficient to support policy shifts in this direction? South African Medical Journal 104(6): 399-400. Statista. (2018). Estimated number of cannabis users worldwide from 2008 to 2016, by region (in millions). Accessed at https://www.statista.com/statistics/264734/number-of-cannabis-users-worldwide-by-region/. US National Academies of Sciences, Engineering and Medicine. (2017). The health effects of cannabis and cannabinoids: The current state of evidence and recommendations for research. The National Academies Press: Washington. Waddell, K., & Wilson, M. G. (2017). Rapid synthesis: Examining the impact of decriminalizing or legalizing cannabis for recreational use. McMaster Health Forum/Michael G. DeGroote Centre for Medicinal Cannabis Research: Hamilton, Canada. 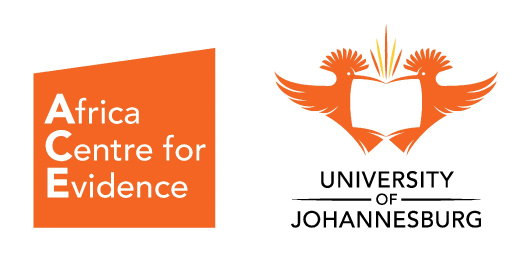 Should you have any question you would like us to do a quick search on, why not email us at ace@uj.ac.za.